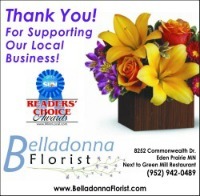 Belladonna Florist has been locally owned and operated in Eden Prairie, MN for over 15 years. My personal experience began at a Nursing Home by taking apart funeral bouquets and turning them into vases as a summer volunteer. No experience with designing, I just did not want beautiful flowers wasted! Eventually, I had the chance to work with several great designers & business women who watched & learned from as I worked my way through college. After graduating I discovered an opportunity as an importer of flowers from Bogota, Colombia & was able to learn more about the growers process. Fate brought me back to MN to work with a local grocery chain – then as an event planner – and finally to this business…NOW our work is featured in magazines (on their covers too!) and in many of the best businesses in the Twin Cities! Our design team is passionate about Quality and Character – our goal is to express your sentiment in our flowers. We believe that if we make your experience an enjoyable one we will earn your business. That is why we make extra efforts to ensure your time with us is Fun, Educational, and Professional. We look forward to being Your Florist in the Twin Cities! *Visit our shop from 9:00 a.m. to 6:00 p.m. Monday through Friday and Saturday by appt. Although the retail store is closed on Sunday you may place orders for Sunday Services by Friday afternoon to be delivered on Saturday. If you have any questions or need more information, Contact us by email or call us directly at 952.942.0489. Check us out on Twitter and Facebook for special offers and updates. Your choice of a Local Florist is an Important One - We appreciate it! located next to Nothing Bundt Cake in the Applebee's strip! Our store delivers the entire Minneapolis/St Paul Metro area and surrounding suburbs for a flat rate of $11.99. This included AM & PM deliveries within Eden Prairie and after 1:30PM delivery to all other areas. 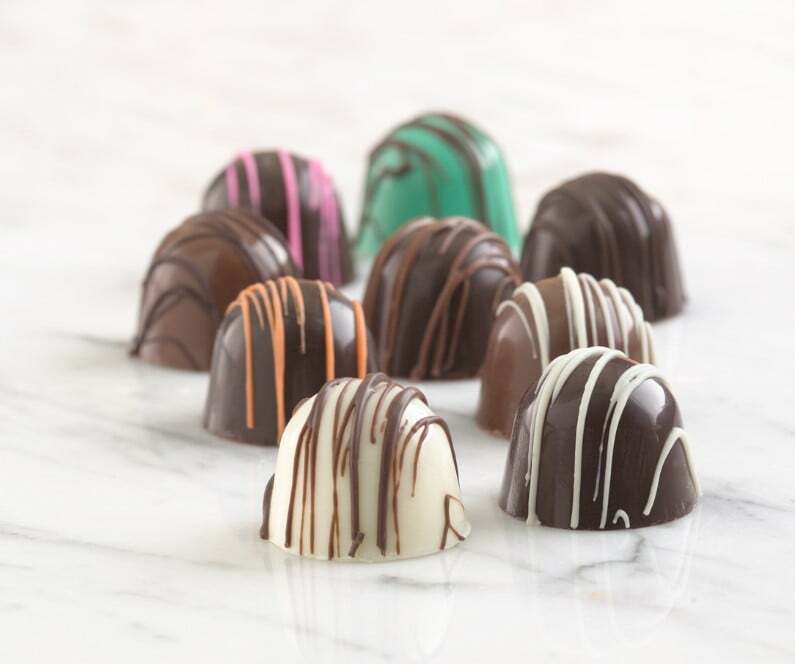 We ARE able to provide AM Delivery outside of Eden Prairie, but we do request that you call in to our store to discuss as the rate varies depending on delivery location. Same day service is offered on Metro area orders received by 10AM. The local Eden Prairie metro can be delivered with same day service on orders received by 1PM. After that – give us a call and let’s try…we have several couriers that we work with daily! Saturday deliveries are available on orders placed by 4:30pm Friday. We are happy to accept your National and International orders! Nationwide orders may be placed on our website; a $10 service fee (plus taxes) will be added to all national wire orders when transmitted. Please Note: this amount will show on your credit card statement however it does not register at the time of checkout - we will email you a revised receipt. International orders may be placed Directly With Our Store at 952.942.0489. We are unable to process international orders over the Internet. Timed deliveries are not available on the major Holidays of Christmas, Valentines, Administrative Professional, or Mothers Day. This includes AM or PM - we do our best but do not promise. Eden Prairie High School does not accept deliveries for Students - Teacher deliveries are accepted. An Online Ordering fee of $3.99 is applied to all online orders. This is new for us in 2016 due to the rising cost of website hosts. We determined it was more honest to list it directly for you than simply raise the cost of product. 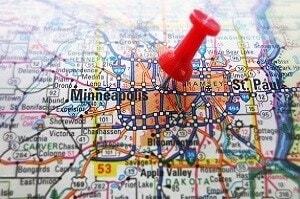 Our location will deliver the entire Minneapolis/St. Paul metro (Twin Cities) and suburbs the same day on orders received by 10AM. 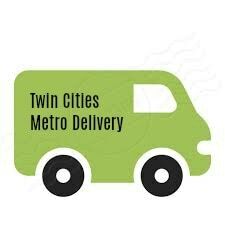 The local Eden Prairie metro can be delivered the same day on all orders received by 1PM. For orders outside of our immediately delivery area, nationwide or international orders we are partnered with florist throughout the country to provide you with a network to choose from. Please call us directly at 952.942.0489 to discuss details of your order. Focused on Fresh with MN Grown Flowers as our first priority, also utilizing the best California, Holland, and South America have to offer. European/dish gardens available in a range of price points plus we specialize in creating Custom European Gardens...and we do have access to Fairy Gardens as well! Substitutions may be necessary to create your bouquet due to our inventory of cut flowers and plants which is continuously rotated to ensure both freshness and variety. The same is true of container styles. Care is taken to maintain the style, theme and color scheme of the arrangement, using flowers to equal value overall. We Appreciate you taking the time to find and shop a Local Florist.